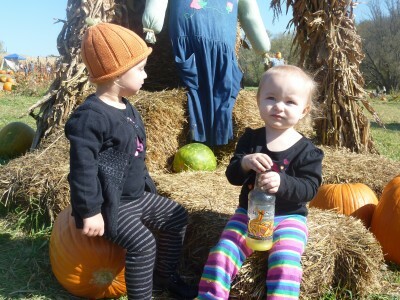 We went to the pumpkin patch with my BFF Eirene. We had on the same Halloween shirt and we didn’t even plan it! We were so excited, we couldn’t stay still the whole time. We saw so many pumpkins. I rode my first pony. 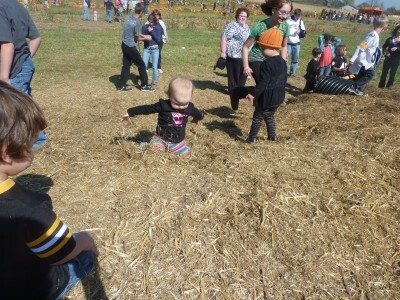 We played in a mountain of hay. Eirene and I agree. It was a fun place. 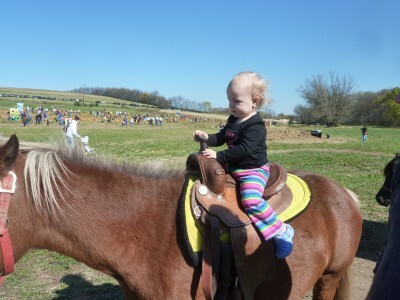 Aislynn, you’ve inspired me to go horseback riding some day- you make it look easy! And I love Eirene’s pumpkin hat. 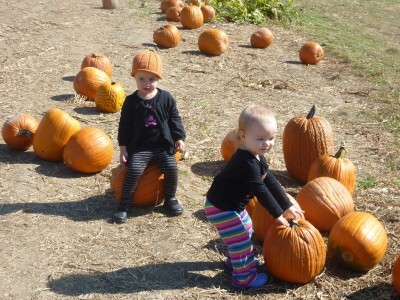 We picked out our pumpkins on the weekend, too, but we didn’t go to a farm to get them this year. 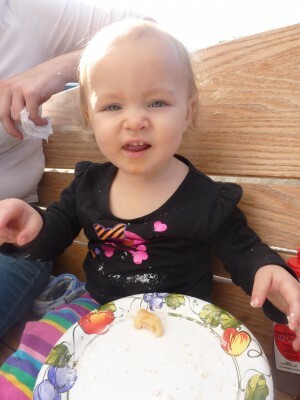 If I’m lucky we’ll go next year and get a hayride, too. Happy Autumn!